25 & 26th September – Not a forgettable day! The plan was a repeat of a jaunt last year. 5 summits, 4 of which have winter bonuses plus an easy 6 pointer on the way home. 50 points in a day is good going but not difficult as there is easy 4WD access to all the summits. I departed home a bit before 6:00 am, fueled up at Lilydale and was on the Mt. Matlock Summit by 9:00 AM To remain on schedule, I would have to keep an eye on the clock. Fortunately the SOTA propagation gods seemed to be onside for today! 23:23z VK7CW 7MHz CW Steve 559, 599 not crisp? 2 metres FM was to play an important role today as there were a number of other activators expected to be within simplex range and thus S2S opportunities. The first contact in the above log was actually the last, being on the next UTC day. 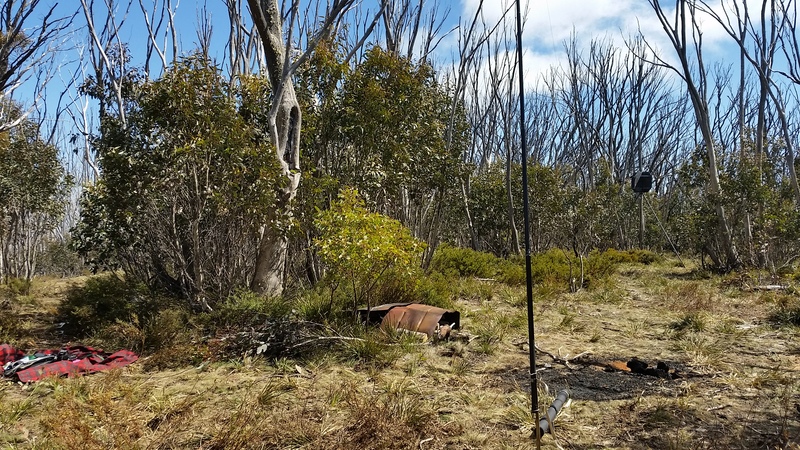 SOTA logging over the UTC role over is a PIA and not conducive to keeping accurate logs! The track up to Mt Selma is sign posted. The track clearing is quite wide but can be slippery. There is a large clearing that is very muddy near where the Mt. Selma FWD track joins in. As per last year, I continued right up to the Trig point. There is a track right across the summit that should go back down to the Mt. Selma Tk. The maps show a link track from the large clearing back on to Mt. Selma Rd. (this track no longer exists). There were very small patches of snow remaining at the summit Trig. I had been putting out occasional calls on 146.500 FM whilst mobile and, I picked up a call from Peter VK3PF/M enroute to Mt. Matlock while driving up to the summit. I learnt that Peter was going to be following my route. This meant I could get not only S2S points but also chaser points for sumits I had activated. A win / win for both of us! I worked Peter from the hand held prior to setting up the HF station. I also worked Glenn VK3YY/P and David VK3IL/P later on 2 metres for more S2S contacts. A quick pack up then back down the hill towards Conner’s Plain. On hitting Mt. Selma Rd, I was stopped by a couple in a Nissan. Well I was not going to Licola but it was obvious they had no idea of the roads in this area. They can be confusing at the best of time, particularly where Mt. Selma Rd. joins up with South Rd so I lead them onto the Jamieson Licola rd where they headed south and I north. Conners Plain summit is just past the Conners Plain clearing. Access is off N7 road and a few hundred metres in is a track to the left leading to the actual summit. Part way along, this track gets a little rough and boggy. A 4WD with reasonable ground clearance is recommended. The summit is also a little boggy. last year I found an old timber post west of where I stopped the car. 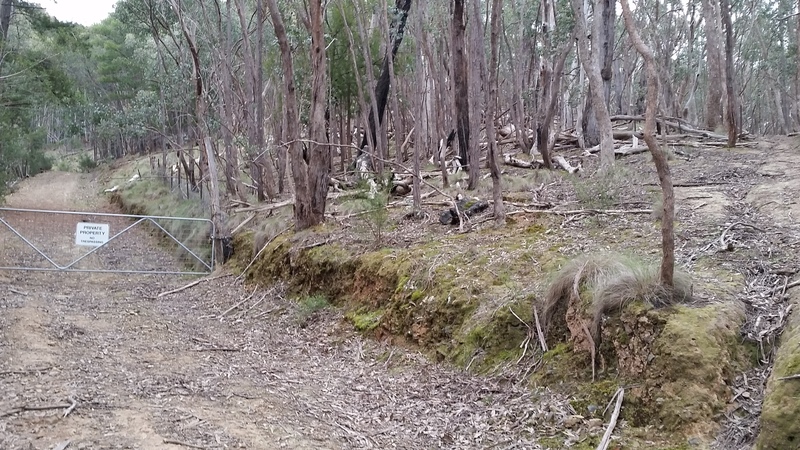 This time I activated from the east side of the track overlooking the Jamieson Licola Rd. There were lots of little ants around so I had to watch where I set up. Escorting the Nissan cost me some time, I was now running a little but not much behind schedule. 03:28z VK3WAM/P 7MHz CW Wayne 579, 579 QRL what? pull out from Conner’s Plain and head direct to Mt Useful. This would save a fair amount of time as Conner’s Plain is an out and back detour from the direct route between Mt. Selma and Mt. Useful. On departure from our summits, we kept in contact on 2 metres and it worked out that Peter was now about 10 minutes ahead of me. We arranged to meet at Mt. Useful. 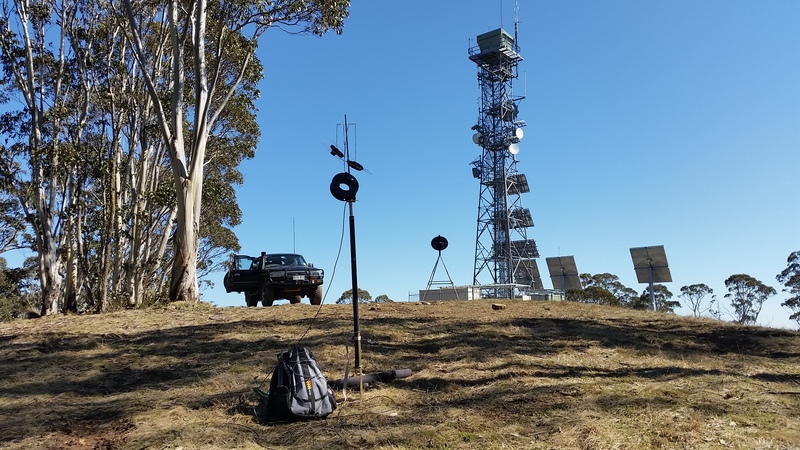 Part of our discussion whilst mobile was on Sota Summit access and suitable vehicles. Peter thought it about time to upgrade from the Subaru Forester. Was this an omen? Were the SOTA Gods disturbed and demanding a sacrifice? We will never know for sure! Peter called up on the radio announcing car problems, he had stopped dead and there was smoke coming out from the bonnet. As a precaution, Peter began to get any gear out of the car – unfortunately no fire extinguisher. Peter informed me that he had stopped just inside the Mt. Useful Scenic Reserve so, when I passed this sign, I slowed down incase he was stopped in a perilous location. This proved not to be the case but I could see flames from the bonnet on the drivers side. I quickly grabbed my shovel and extinguisher and raced over. After first confirming Peter was OK, I had a look at the fire. I really did not want to open the bonnet for direct access nor do I think I could have. There was lots of black smoke inside and flames coming out from the side and front. Would really have wanted flame proof clothing and a face shield. I gave the fire a blast through the front that slowed it down until the extinguisher ran out. From there on in all we could do was watch the show. 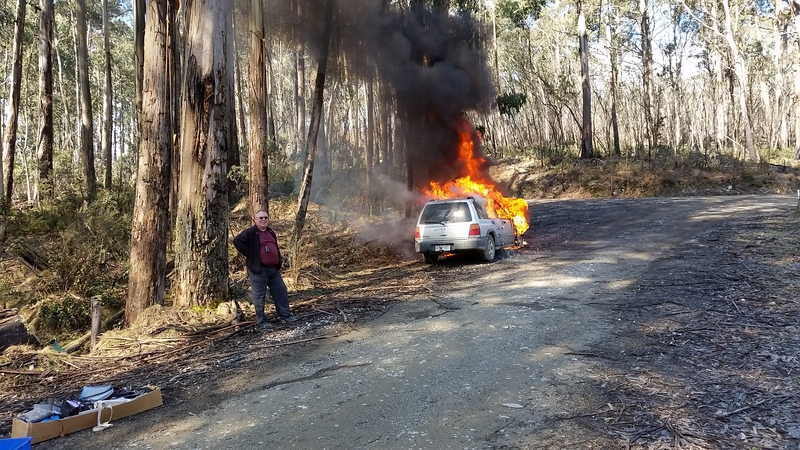 I did clear some debris from around the car to try and stop the spread of fire but had no control over the height of the fire when it got into the tree. The concern now was the possibility of a bushfire, the adjacent tree had started to burn. Both of us tried calling 000 on our Samsung Galaxy S5 phones but there was no service at the scene nor the immediate vicinity. I went back to my car and reversed further away from the fire. Also put my orange hard hat out on a tree juist around the corner from the approach side to warn any approaching traffic of an incident. Then, I jumped in on 40 metres 7.090 between overs from Johnno VK3FMPB/P and Andrew VK1DA/P and requested assistance. It turned out that Johnno was the best placed although I would have prefered someone with a landline connection and home station. The biggest issue was determining our location, not due to GPS coordinates but the variable names the road we were on is given. 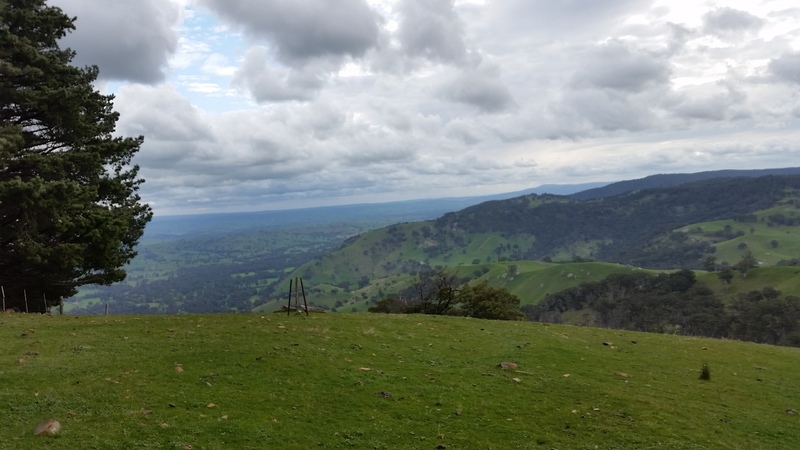 Mt Useful Spur Rd, South Rd, McEvoys Track, Springs Rd. Johnno was able to pass our predicament on to the 000 handler but we were not confident of the results. It was not long after that Colin VK3LED (CFA communications officer) came to our assistance. Anyway, peter and I had a cup of coffee and kept an eye on the fire. It was starting to cool off but neither of us were that keen to warm ourselves from over near the car. Things were still exploding and someone had to monitor the HF radio! The CFA arrived two hours after I first tried to extinguish the fire. By this time most of the fire was out and the tree had stopped burning. The Forester fuel tank was still intact. The CFA gave the car and surrounding bush a good douse! There was nothing left salvageable. The Heyfield CFA crew were terrific. Originally three tankers had been called out but two were sent back. Upon their departure it was noted the side wall of a rear tyre had been torn out on the rocky road. With no means to change it, they were in for a slow trip home in the now cold and foggy conditions. “Single station, two operators”, said Peter. We continued up to the summit turn off, the track entrance was very boggy; the summit tower was barely visible in the fog. At least there was no wind! “Put up a spot for qrv in 5 minutes”, I followed. On turning on the radio, there was already someone calling us – not sure who? Peter put out a CQ and we had a steady flow of callers and easily qualified the summit on 40 metres. “Of course” was the reply. What would you expect when two SOTA tragics get together? 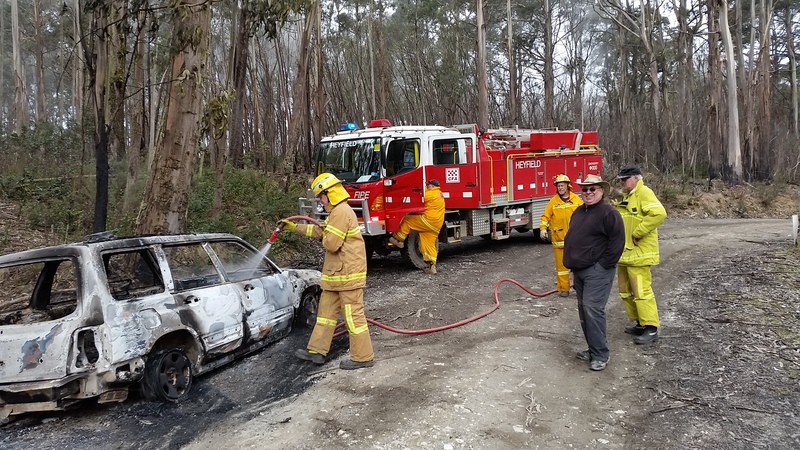 Can’t let the inconvenience of a car fire impact on the activator and chaser scores! Having finished with Useful, we proceeded towards Peter’s home near Traralgon without further thought of activating VT-034 – I don’t think we would have been able to see through the fog anyway! Got back to Peter’s home safely where we unloaded and I headed back to Melbourne. A long day from 5:00 Am to 10:00 PM and 470 kilometres on the clock. Thanks again to Colin and Johnno plus everyone else who kept 7.090 clear of traffic. Many thanks to the Heyfield CFA and 000. Only regret was not getting a signal report from VK1DA/P and getting the summit points! Who said SOTA was addictive? Tough day at the office today. The walk up to Mt. Ritchie was very pleasant in mild sunny conditions. It was either my new boots and poles or else I am a bit fitter than last year – the trekking in the Rockies may have paid dividends? Saw a number of wallabies on the way up. This trek is a very pretty one at this time of year. From the car parked on the Acheron Way at Road 15 it is a 7.5 kilometre walk to the Mt. Ritchie summit. The steepest parts are the first 3 kilometres that includes Road 15 and the first bit of Road 10. After the 3 kilometre mark, the grade gets a bit flatter. From car to summit is an elevation gain near to 550 metres. Anyway, activity started off smartly with a S2S and two further 40m CW contacts then nothing. Liased with Ron VK3AFW on the VK3REC repeater for an 80 metre sked but still nothing, Ron was 5×5. In the end, worked Ron simplex on 2 metres. Phone coverage was mostly good, New Samsung S5 is much better than the Galaxy Nexus! Also good access into VK3REC 147.175 repeater. I used this to coordinate a qso with Ron VK3AFW. Summit height is listed at 1255 metres. This confirms with Forest explorer but not with my GPS or Garmin Oz Toppo that mates it 1269 metres. Back at the car 90 minutes later. No problems getting over the gate this time as the big concrete barrier was gone, meaning I could go through it. Last time I fell off! 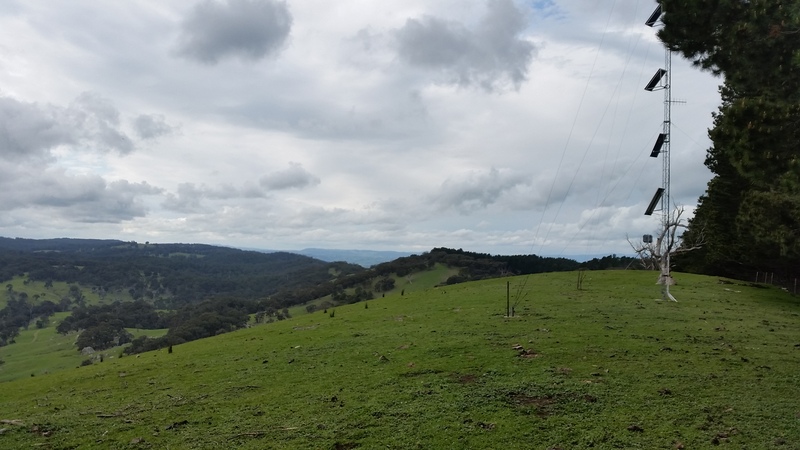 Finished of working Peter VK3ZPF/P on 40m ssb and 2 metres FM from near Drouin. I am pretty sure I heard VK2AOH calling and may have heard VK2YW? Generally signal reports were beyond that being workable on SSB. Firstly the bands were relatively quiet. Secondly, only small logs to submit. Third, time to have a leisurely lunch and enjoy the views! Packed up in a rain squall, bright sunshine back towards home. Thanks to all who enabled me to qualify the summits. With a bit more time, I will have the 2m CW/SSB setup working. Mt. 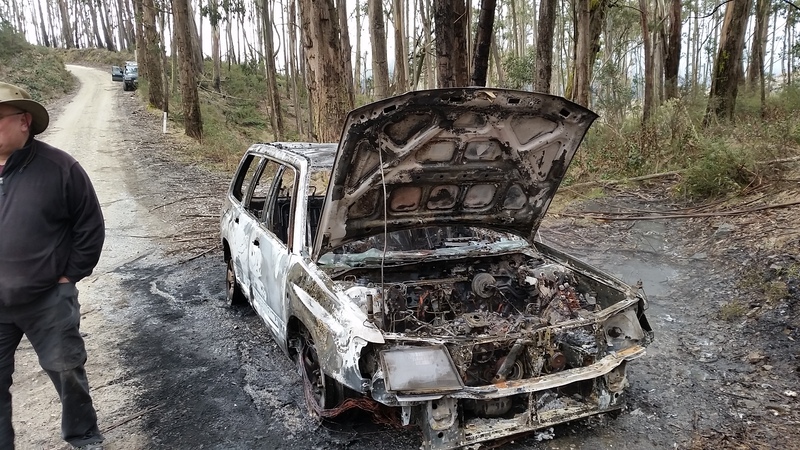 Donna Buang Rd 8:10 AM, 15 Mile Rd 8:27 AM (11 kilometres from the Donna Buang Rd). Departing from the parked car @ 08:37 AM, I was on the Mt. Ritchie Summit by 10:25 AM (UTC 00:25hrs). I took the time to have a look at an area off to the west of the summit. Departed summit 12:00 Noon, back at the car @ 1:30 PM. At 2:05 PM I was on the summit of Mt. Donna Buang. Mount Concord VK3/VN-018 Activate it while you still can! This summit is located off the Melba Highway just south of Yarck. It is quite a prominent summit with a working pine plantation on its eastern side. It is also the site of the UHF CB Channel 6 repeater. The actual height by my reckoning is 649 metres and definitely not 697 as documented in the Sota summit reference. That said, if fails the 150 metre prominence requirement as there is a 680+ metre summit along the same range at 9.83 kilometres on a bearing of 11 degrees true that appears to fill the prominence requirements. 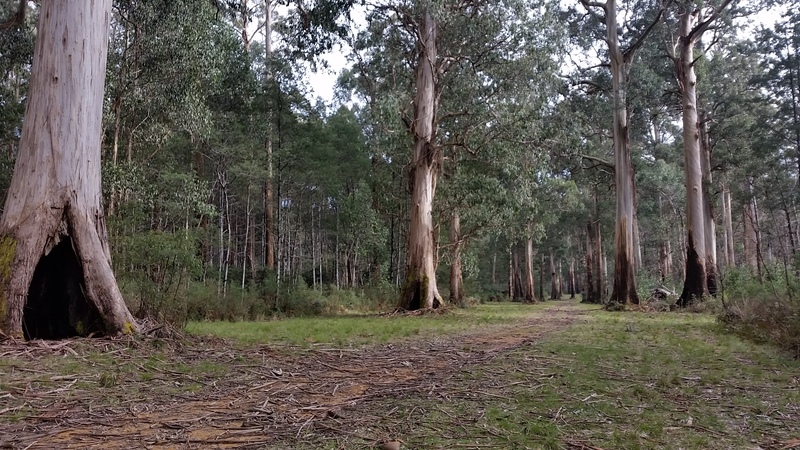 For access maps, I used my Garmin with OZ Toppo, Forest Explorer with 10m contours and spot heights plus a Vicmap Property map with 10m contours, property boundary plus the all important public road reserve. I followed the access notes of Wayne VK3WAM. I had a look at this previously, turning off the Melba Hwy onto Nicholsons rd but stopped where it gets rough at the intersection of Henkes lane as it was not suitable for my VW Caddy work van. This time with the Landcruiser, it was a piece of cake. It is well worth driving the 1/2 kilometer up from Henkes Lane. I drove all the way to the private property gate then reversed back down as there was insufficient level ground to execute a U turn. I then reversed back up Nicholsons Rd and parked just short of a minor track (with locked gate) heading off to some old huts on the north side of the road. 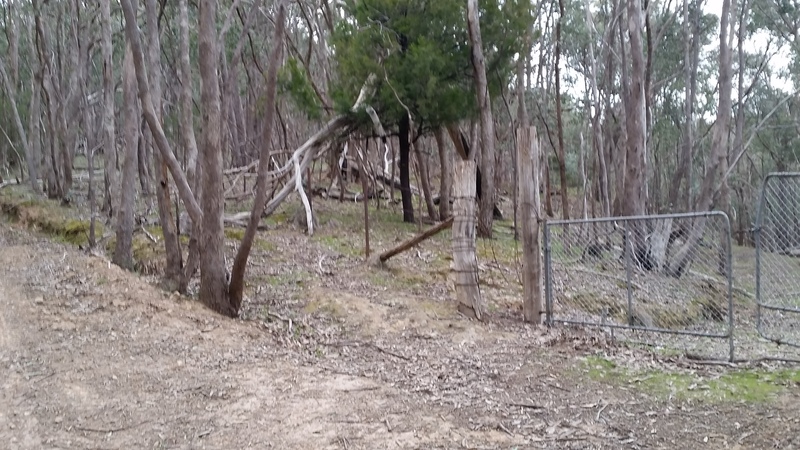 Now on foot, I walked towards the private property gate then headed off to the right along a foot track that went through a gap in the wire fence. and onto what could once have been a vehicle track (aligning with the public road reserve). This climbs steeply from 300 metres to 600 metres over a 1.2 kilometre distance. Many short stops on the way. 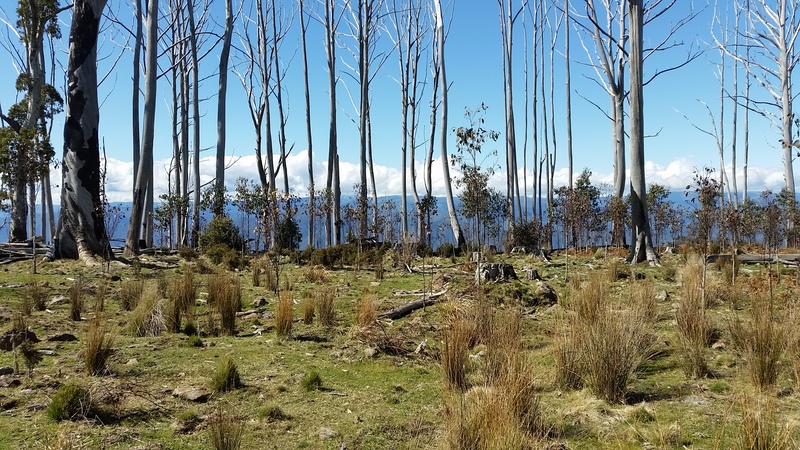 Once at the 600 metre point, there is an undulating ridge that heads south west to the summit. The route however is not so straight forward due to a fence. Phone access is excellent. Very RF quiet. Saw Kangaroos, a Wombat, Cows and some Deer Shooters. After a burst on CW, I had a quick look on 7.090. Here all i could hear was a booming EA station. It being cold and extremely windy I packed up and was down at the car inside of an hour; compared to 85 minutes to ascent and setup. Now just 2 hours to drive home, a bit hungry as I did not have time for lunch other than my orange and apple.